Why should I consider working locum tenens assignments? You have complete control of your schedule. You can choose when and where you want to work, which allows you to have time for your favorite activities. Your schedule is totally up to you, many of our physician contractors have active practices yet still enjoy accepting an occasional locum tenens assignment. Do you provide malpractice insurance? Yes. You would be offered coverage for every minute you are working an assignment through TTG Locum Tenens. We have a comprehensive professional liability insurance policy with an A+ rated carrier with limits of $1 million/$3 million. Can I accept or refuse any assignment? When you work is entirely up to you. You can choose to accept an assignment or reject an assignment depending on your schedule and availability. 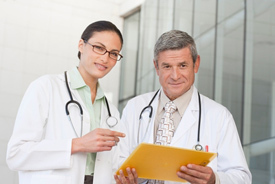 If I work with TTG Locum Tenens can I also work with other locum tenens companies? Who pays me for these assignments? TTG Locum Tenens pays locum tenens contractors once a month with checks being mailed by the 8th of each month for the previous months work. The pay is based on the agreed upon rate and the time sheets that are completed by the provider, signed by the client and sent to us by noon on Monday following the week of assignments. How do I get started with TTG Locum Tenens? It’s easy. You can complete the contact us form and a consultant will call you shortly, or you can complete the application forms and return them to us. Once we receive you application one of our consultants will be in touch with you. "TTG Locum Tenens physicians and Nurse Practitioners are versatile and they tend to fill in seamlessly." "I have worked with TTG Locum Tenens for several years doing outpatient pediatrics. They have been wonderful to work with. They take care of all the details so that all I have to do is show up and practice pediatrics."